Our farm has been supplying the finest farm fresh produce since 1828, and that tradition continues today. We have pick your own areas available in the fall in an orchard with one of the most spectacular views in New England. Our retail store is open seven days a week from 9am to 5pm from August through December. Our Winter Store located at 153 Peckville is open December through April. 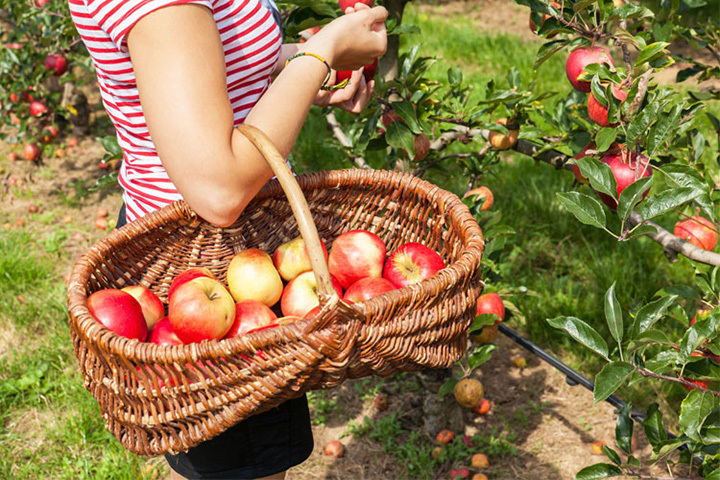 From mid-September until the end of October we offer pick your own apples in our scenic orchard. A farm visit is a terrific family event and we also often hold in store events. You’ll find our family and staff to be welcoming and helpful, including offering up tips and recipes for preparing fruit and storage. We grow a wide array of tree fruits, including apples, peaches, nectarines, apricots, quince, pears, Asian pears, blueberries, table grapes and kiwi. We plan on adding additional fruit in the future. We pride ourselves in the diversity of fruit that we sell. We think you’ll be impressed too! Our fruit is sold in stores throughout the local area, at farmers markets, and of course, right here at our farm store. Western Massachusetts is without a doubt one of the top fruit growing regions in the world. The soil, the micro-climate, and the varieties all combine to give our customers the best tasting fruit possible.